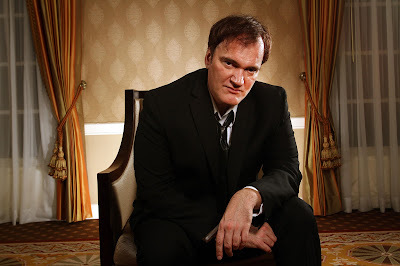 Probably one of the most well-known and controversial directors in Hollywood is Quentin Tarantino. 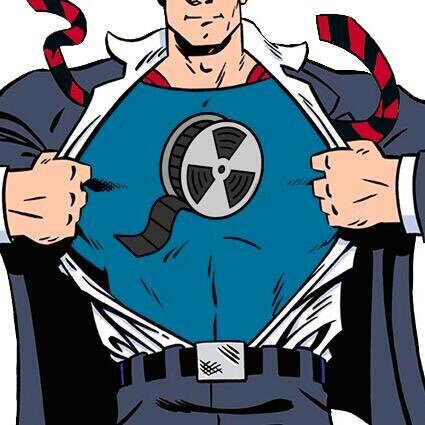 I recall some film students I went to school with making him their own personal god. Though I do not share their religious exaltation, he truly is one of my favorite artists in film. Tarantino didn't get his success handed to him like so many in Hollywood, and he certainly didn't get it by following the rules. He dropped out of public school at 15 to attend full-time acting classes at James Best Theater Company in Toluca Lake, though he grew bored with it after a couple of years. He then got a job at Video Archives, a video rental store in Manhattan Beach, L.A. where he would discuss cinema with customers and offer them lengthy recommendations on which films to watch. He has said that his time working there inspired him to take the writer/director route. I tell them 'no, I went to films." In 1987 Tarantino met Lawrence Bender at a Hollywood party. Bender encouraged him to write a screenplay. He wrote for a couple of projects before his premiere film Reservoir Dogs became a reality in 1992. Bender got the script into the hands of Harvey Keitel, known for his performances in films like Scorsese's Taxi Driver and Mean Streets, just to name a couple. Keitel liked the script so much he contributed to funding, making him a co-producer and also garnering him a role in the film. Lawrence Bender went on to produce most of Tarantino's films. This is absolutely fascinating to me as an aspiring filmmaker. 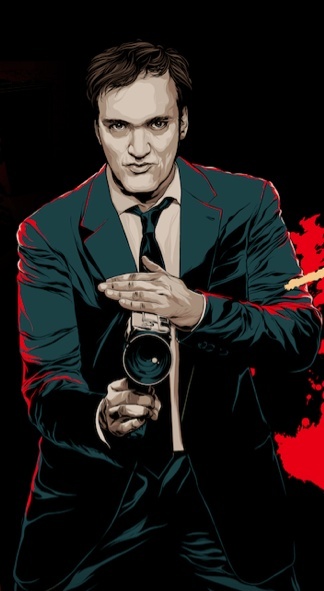 Tarantino didn't come from a known family, have a degree, or fat resume, but all it took was one influential creator in Hollywood to believe in him and his career skyrocketed. That's the magic of the biz. putting the way people really speak into the things I write. and they came from where I have been." Though Reservoir Dogs was successful, it wasn't until Pulp Fiction that Tarantino became an unforgettable name. It was the first independent film to ever gross more than $200 million, an enormous feat in any decade. The roles in Tarantino's sharp-as-a-tack script revived John Travolta's then waning career and catapulted Samuel L. Jackson and Uma Thurman into stardom.Though they had talent, it was Tarantino's writing that gave them a firm foundation to let loose with their characters and wow audiences the world over. His unique style completely changed the composition of Hollywood film by combining multiple genres and ideas into intense and unpredictable stories. There really has never been anyone like him before or since. Admittedly, I was not always a Tarantino fan. It wasn't until the Kill Bill films that I really noticed his talent. I was enchanted by the use of multiple cinema styles such as western, martial arts, film noir, and even anime all in one single film. The colors, the lighting, the use of sets, it was absolutely hypnotic. Yes, there was blood spewing everywhere, and yes lots of uncomfortable curse words and dialogue at points, however, there was something far greater within the narrative that not only kept my attention but made me fall in love with it. That love grew even deeper in 2009 with Inglorious Basterds. The first ten minutes of the film alone were absolutely mind-blowing, heart-stopping, and other such anxiety-inducing metaphors. 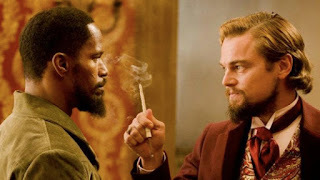 It was the dialogue (Tarantino's greatest creative talent) as well as the consistent emotional tension. Additionally, he cast actors from their native countries and had them speaking their native tongues for most of the film. Seeing Inglorious Basterds made me want to rewatch his older films with new eyes, and I did. Though I don't care for them as much as his later work (mainly due to my own personal preference in content) I was able to fully understand what astonishing pieces of cinema they are. Samuel L. Jackson delivering his "Path of the Righteous Man" speech at the end of Pulp Fiction is now one of my favorite scenes of all time. In 2012, he released Django Unchained. I still have a hard time deciding whether or not it or Inglorious Basterds is my favorite film of his. Both cleverly (and violently) rewrite two of the greatest atrocities in human history and both are filled with scenes of incredible dialogue born from some of the finest performances on screen. "It's not my job. It's my calling." Just like my first ICP in the series Lindsey Stirling, he didn't become successful by compromising his vision or himself. He became successful by BEING himself. In film school I was taught that the way to sell a movie in Hollywood is to show not tell, keep dialogue short, have a 3-act structure, and lots of effects. Tarantino defies every rule. He has beautiful, lengthy dialogue scenes, he doesn't follow the 3-act structure, he keeps special effects to a minimum, and has shot all his films on 35mm film. By Hollywood standards they shouldn't have even let him in the front door, but when your work is good enough it can break down those barriers that keep us inside the box. Whenever people ask him to explain his violent content or controversial subject matter, he shuts them down by saying he doesn't have to explain anything to anyone and refuses the question. I think this is incredibly brave because often times people cave in to media pressure to protect their image. 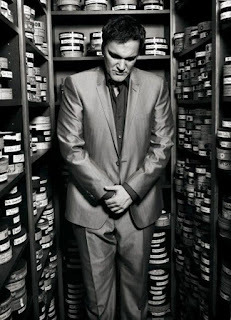 Tarantino protects his work over his own image, that's a true artist. I very much look forward to his next film, a wild western called The Hateful Eight set to come out this Winter. I've also heard rumors that he plans to retire after it's release. I hope that's not true. In this current cinema state of overcooked franchises, rushed storylines, and menial dialogue we need more creators like Signor Tarantino to freshen the blood supply. With the amount of blood in his films, that shouldn't be too hard. 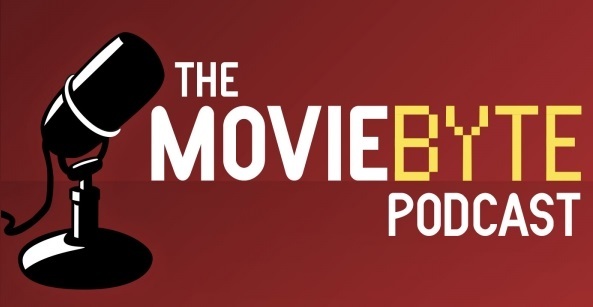 "...I don't make movies to pay for my pool. When I make a movie, I want it to be everything to me; like I would die for it."